Note: Uploading your image requires you to login to this gallery with a specific user name and password. Therefore, if you are logged in on your own SmugMug account, you must first click on 'logout' at the bottom of this page. At the bottom of this page, click on 'login'. When prompted for an email/password, use "challenges" for both, and click on 'Log In'. You will be redirected to this page. Click on the 'Challenge Submissions' gallery to enter it. Click on '+Upload' button, near the top. Select 'To This Gallery'. When prompted for what uploader to use, we recommend the 'simple uploader. For help or problems with the uploader, please see this SmugMug help page. Drag your image to the Simple Uploader, and click on 'Upload'. When you are done, don't forget to click on 'Logout' near the bottom of the page! Those familiar with other uploading methods may, of course, use those methods with the same username/password (challenges) combination. Hibiscus ink Photography - Crystal clear. 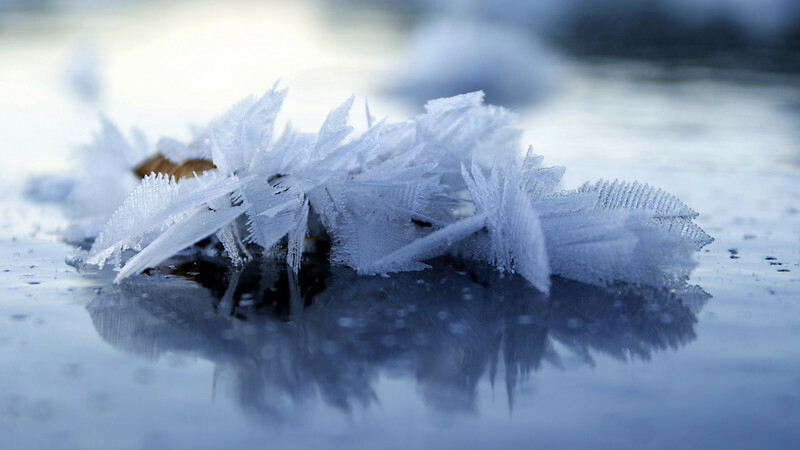 Lovely detail and wonderful crystallization of the ice. Love the reflection, as well. Great capture with good detail. Well done! Great texture here, and I love the tone. I love the colors and how the ice looks like a mirror. Way to set the bar for everyone! Great job. Wish it snowed in Georgia...so dull here.